Size: approx. 7 mm. Photo: 08/21/14, 11 pm. 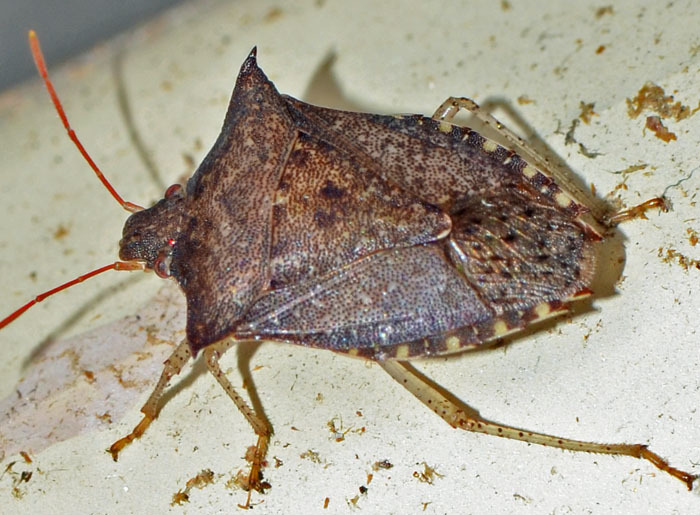 These stink bugs belong to the genus Euschistus which has 20 species in North America and is widespread. They feed on plant juices and may be destructive to fruits. 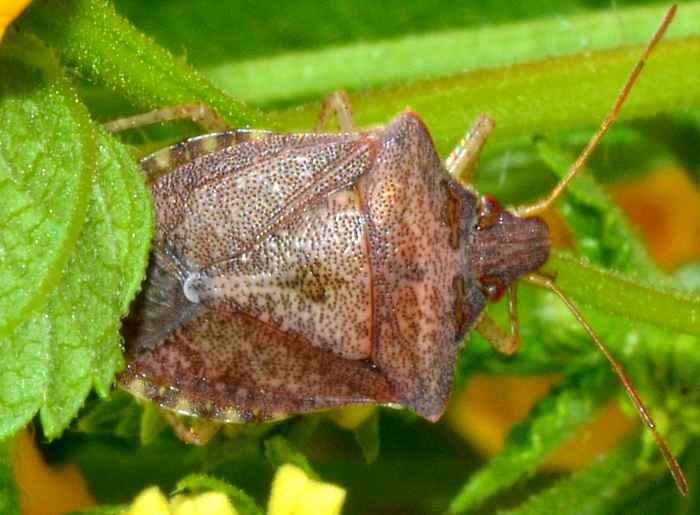 Identifications of the species level requires ventral views. The small photo was taken on 05/27/12 at 5 pm.